Have you ever wondered how pacers manage to get to the finishing line in a certain time on the race day? If that question crosses your mind, then this read is for you. 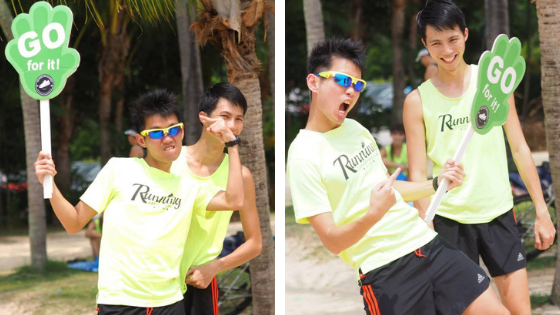 In this blog, Mark Lam, a pacer for The Straits Times Run 2018, 18.45 KM catergory running at an even split of 5.25 min/ KM takes us through his journey of 9 weeks of preparation to crossing the finishing line exactly at the target time of 1 hr 40 mins. 32 runners from all walks of life gathered in the name of giving back to the running community for our first session of a nine-week long training plan prepared by Running Department. Over the next few weeks, we trained to improve our speed and strength through Wednesday runs and to run at even split for Saturday long-distance runs. For pacers in training who missed these two compulsory sessions, it was down to doing a Make Up Run (MUR) on our own. MUR is something we dread as it means having to do a solo 12KM to 18 KM run and not being able to complete it faster since we are training to keep a certain pace. 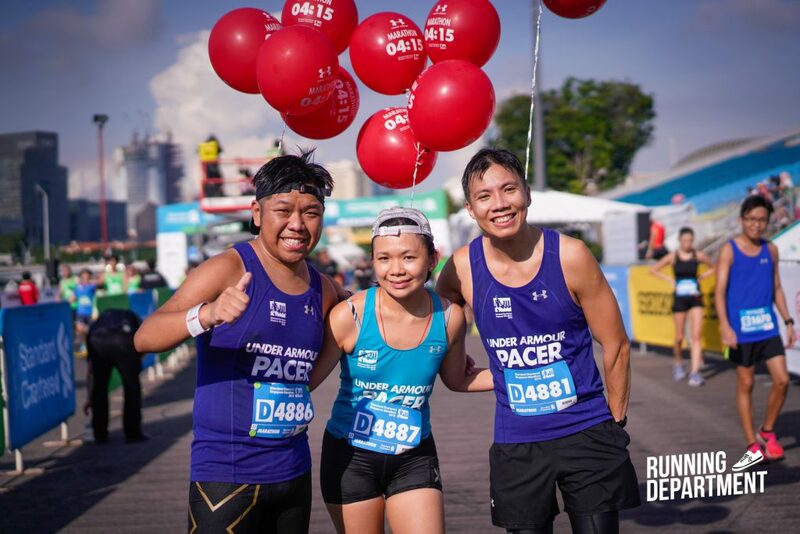 You can know more about Running Department’s Training Plans for the upcoming races like Great Eastern Women’s Run 2018 and SCSM 2018 here. 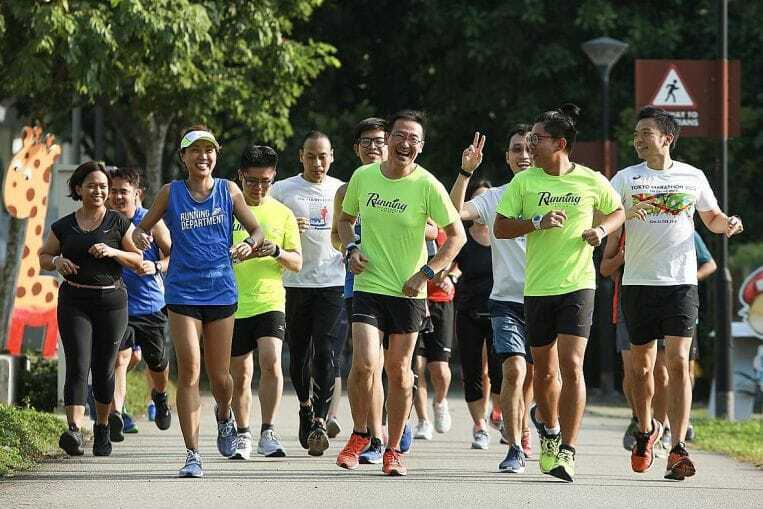 The RWP session at Sengkang Sports Complex started in the evening.The RWP session was a good way for the participants and pacers to mingle, we shared training tips and demonstrated our even split pacing strategy to the public runners. Five days before race day, and it was time for the recce session, a long-standing “tradition” by Running Department where we run the final 3 kilometres of the race route, taking notes of landmark along the way. 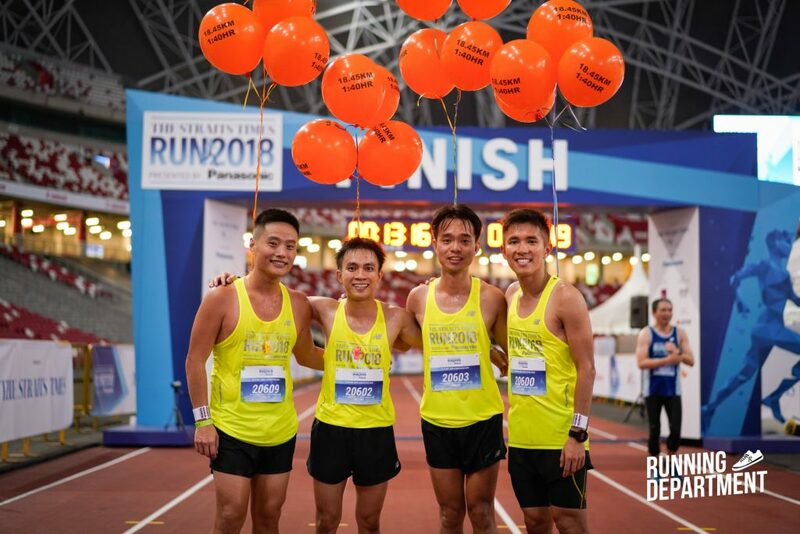 For The Straits Times Run, the final 3 kilometres were looking at were 15.45km, 16.45km, and 17.45km for the 18.45km category and 7km, 8km, and 9km for the 10km category. Need To Adjust Pace In the Final Few Kilometres: Some of you might have noticed that we pacers wear a laminated paper strip on our wrist – our pacer band. If you’ve had a chance to take a closer look, you will realise that there is a timing for the final 3 kilometres. This allows us to check our time and adjust our pace to deliver our target timing as accurately as possible. Distance Markers are Displayed to the Nearest Kilometre: In any race, distance markers are good for telling all runners their current distance or distance remaining. But for pacers, this will not work for us as the final few kilometres don’t start from the nearest kilometre. For example, for full marathons (42.195km) we need to look at the last few kilometres starting from 39.195km onwards. Distance markers won’t show us that. Distance Markers might be Placed Slightly off: It is possible that the distance markers might be placed slightly off. So, it is better to do our own recce for verification. Even seconds matter in pacing as we are working towards delivering a promise of a target time. The day started as early as 2am for us as we had to be there by 3.45am for preparation. 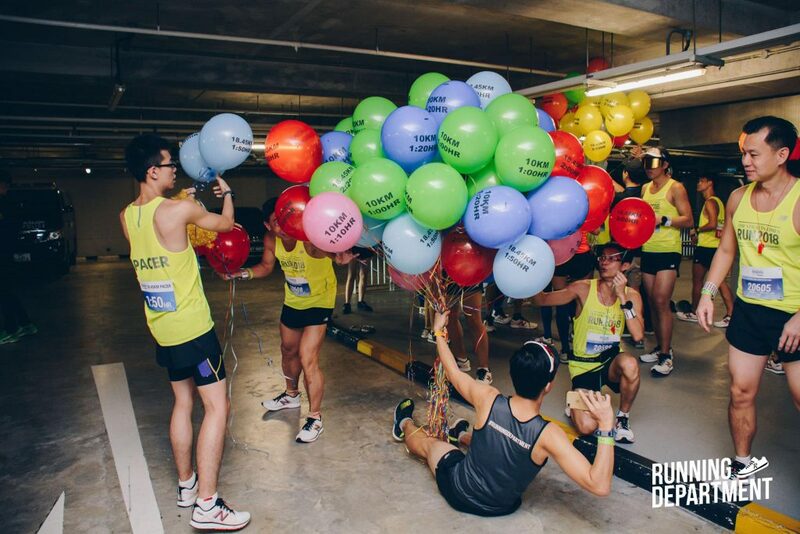 This included putting on our pacer timing bibs and the bright coloured balloons that pacers are recognised by, some pep talk by our Pacing Project Manager Alvin Tan, and some photo-taking. When the start pen opened at 4.30am, the 18.45-kilometre pacers made our way down. At 5am, the air-horn was our cue to get our legs moving and start our GPS watches as our pace timings were based on gun time. Running through downtown area was a boon and bane for us: the boon being that the downtown skyline was a good distraction from negative thoughts and fatigue, the bane being having our GPS reception affected as we pass through the high-rise buildings of Fullerton Road / Marina Boulevard. It is moments like this when our training kicks in, depending on our effort level to maintain the pace. As we continue running, we echoed phrases such as “Watch your step!” and “Oncoming bicycle keep left!”, warning runners of obstacles that might cause them to fall. We also acted as cheerleaders for runners whom we passed, encouraging them to join us and reminding them on how good they are doing. We also had to look out for runners following us that were displaying signs of fatigue such as heavy breathing or swaying shoulders, talking to them to keep their spirits up. Arriving at the final stretch of the race along Tanjong Rhu, it was time for us to do a time check and adjust our pace. This was also the time we saw the runners’ face lit up as we shouted, “Last three KM!” and “Last two KM!” outside Passion Wave @ Marina Bay and Pebble Bay Condominium respectively. 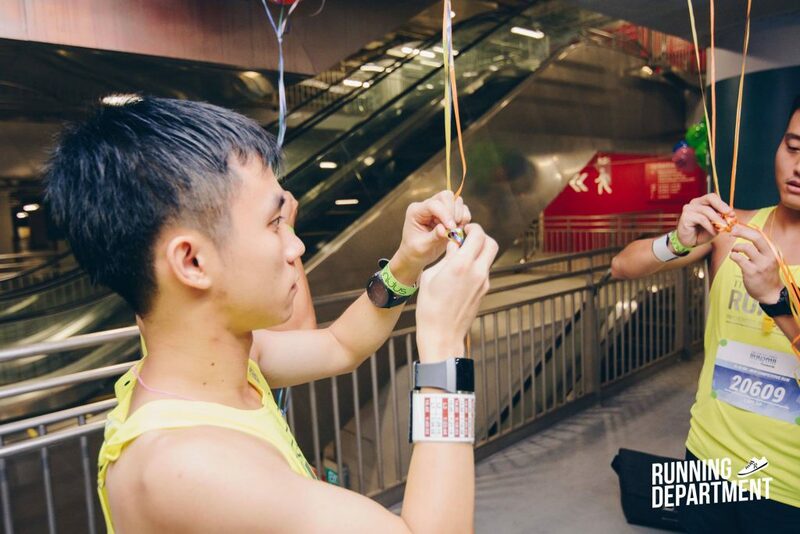 The final kilometre support station at OCBC Square run by the Running Department crew was very helpful as they were spreading the love by cheering on runners and handing out ‘sng bao’ (flavoured ice popsicles). We certainly felt the love and enthusiasm as we ran by and grabbed some ice popsicles. At the East Entrance of National Stadium, we knew that the finishing line will be in sight. This was the time for us to tell runners to run ahead to achieve their timing. As we step on the running tracks, we knew this was it. This was the moment we receive our report card, to feel the excitement and relief as we cross the finishing line within the acceptable range of our pace time. We made it! As we stood at the finishing line taking photos, we were glad we did not disappoint all those who followed us that day.